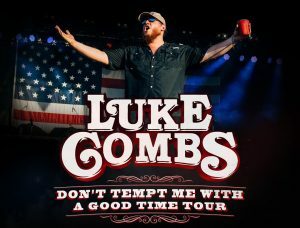 Tickets on sale to general public Friday, April 26, 10 a.m.
Four more hot acts recently joined the Alaska State Fair 2019 AT&T Concert Series line-up! Help us give a warm Alaska welcome to the iconic classic rock band KANSAS on August 25, Celtic punk rockers Dropkick Murphys on August 30, platinum-selling country artist Cole Swindell on August 31, and distinctive singer/songwriter Elle King on September 2. 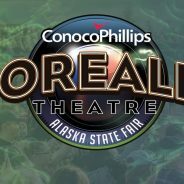 All concerts take place rain or shine at the ConocoPhillips Borealis Theatre on the fairgrounds. Set a reminder – tickets go on sale to the general public Friday, April 26 at 10 a.m.
Sunday, August 25: KANSAS. With a legendary career spanning more than four decades, KANSAS is undeniably one of America’s most iconic classic rock bands. With roots in Topeka, the band released their debut album in 1974, and has gone on to sell more than 30 million albums worldwide. KANSAS is currently touring the U.S. and Canada, and their hits like “Carry On Wayward Son” and “Dust in the Wind” continue to be staples on classic rock radio. Friday, August 30: Dropkick Murphys. Since forming in 1996, Celtic punk rockers Dropkick Murphys have sold 7 million albums worldwide, with 2005’s The Warrior’s Code achieving gold certification and featuring the smash single, “I’m Shipping Up to Boston.” Known for their loud, energetic shows, the band has hosted sold-out concerts at most of Boston’s landmarks, and been invited to share the stage with everyone from Foo Fighters to Bruce Springsteen to Mumford & Sons. The band is currently touring in support of their 11 Short Stories of Pain & Glory album, released in 2017, when it debuted at #8 on the Billboard Top 200. Monday, September 2: Elle King. A unique and distinctive artist, singer/songwriter Elle King blends pop, blues, rock and roll, and country into a sound that’s all her own. Her 2015 debut album featured the #1 “Ex’s & Oh’s,” which earned King two Grammy nominations and was certified double platinum. The Ohio-born, New York-raised artist was also featured on Dierks Bentley’s Grammy-nominated, #1 Country Airplay hit, “Different for Girls.” King released her follow-up album, Shake the Spirit, in October 2018. 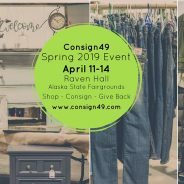 Get your tickets for these four shows starting at 10 a.m. on Friday, April 26:• Online at alaskastatefair.org and print at home. • On the Fair’s Facebook page.• On your mobile phone. Remember, this year you once again have the option to purchase concert tickets including Fair admission. The included admission is at a discounted price and good any day of the Fair. Concert tickets including Fair admission must be purchased by August 21. Concert-only tickets are still available for fairgoers who already have admission. Details on ticket options and pricing are available on our website. Convenience fees apply on all concert ticket purchases. The four newly announced acts join the previously announced concerts: all-vocal country band Home Free on August 22, multi-platinum rockers Shinedown on August 23, hot country act Dustin Lynch on August 24, and soul/rock/pop powerhouse Tower of Power on August 28. Tickets for these shows are currently available on the Fair website. Exhibitor Guide is Available Now! 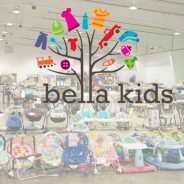 Posted by Betty Shadura on 8:00 am in Alaska State Fairgrounds, Fairgrounds Features, Features | Comments Off on Exhibitor Guide is Available Now! Tickets on sale to general public Friday, March 29, 10 a.m.
Palmer, Alaska – The Alaska State Fair is pleased to announce the first four acts in the 2019 AT&T Concert Series: all-vocal country band Home Free on August 22, multi-platinum rockers Shinedown on August 23, hot country act Dustin Lynch on August 24, and soul/rock/pop powerhouse Tower of Power on August 28. All concerts take place rain or shine at the ConocoPhillips Borealis Theatre on the fairgrounds. Tickets go on sale to the general public Friday, March 29 at 10 a.m.
Friday, August 23: Shinedown. The multi-platinum, record-breaking rock band Shinedown has sold more than 10 million albums worldwide, earned 11 platinum and gold singles and four platinum and gold albums, and amassed more than 1.5 billion total overall streams to date. The band’s most recent album, ATTENTION ATTENTION,features the #1 rock radio hits “DEVIL” and “GET UP.” Hailed for their high-octane live shows, the band is currently preparing for its 2019 ATTENTION ATTENTION World Tour. Saturday, August 24: Dustin Lynch.With a string of hits stretching back to 2012 and a red-hot live performance reputation, Dustin Lynch is one of the hottest acts in modern country music. His first two albums debuted at #1 and #2 on Billboard’s Top Country Albums chart, and he’s racked up a string of #1s including “Where it’s At,” “Hell of a Night,” “Mind Reader,” “Seein’ Red,” “Small Town Boy” and, most recently, “Good Girl.” The Tullahoma, Tennessee, native released three new singles, “Ridin’ Roads,” “Red Dirt, Blue Eyes” and “Little Town Livin’” in March. Wednesday, August 28: Tower of Power. Since forming in Oakland, California, in 1968, Tower of Power has forged a reputation as a band of high-achieving musicians fluent in all realms of soul, rock and pop music coming together with the sophistication of a jazz big band. The band, which includes the world-famous, five-man Tower of Power Horns,has 24 previous releases, from their first album, East Bay Grease,in 1970 to their 50thanniversary release of Soul Side of Townin 2018. Online at alaskastatefair.organd print at home. Once again the Fair will offer the option to purchase concert tickets including Fair admission.The included admission is at a discounted price and good any day of the Fair. Concert-only tickets are still available for fairgoers who already have admission. Details on ticket options and pricing are available on the Fair website. Convenience fees apply on all concert ticket purchases. 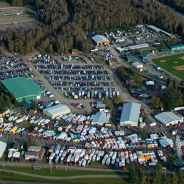 For more information, please contact MK Keefe, Marketing Coordinator, at mk@alaskastatefair.orgor 907-745-4827. 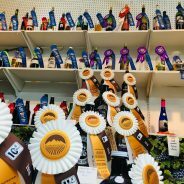 With final numbers in, it was definitively a good year at the 2018 Alaska State Fair, which took place August 23 – September 3 at the fairgrounds in Palmer. Most notably, ticket sales for our AT&T Concert Series were up 46.3 percent from 2017 and 8.5 percent up from 2016, with a total of 28,515 tickets sold in 2018. 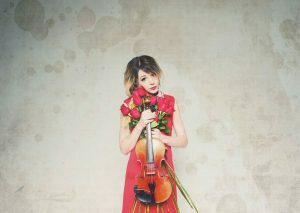 Concerts featuring breakthrough country star Luke Combs and acclaimed violinist Lindsey Stirling were sold out, while Goo Goo Dolls and Juice WRLD were near capacity. Fair attendance was up as well, with attendance of 292,973 in 2018, an increase of 4.2 percent over 2017’s attendance of 281,129. Overall Fair revenue was also up in 2018, highlighted by a 5.7 percent increase in gate revenues compared to 2017. 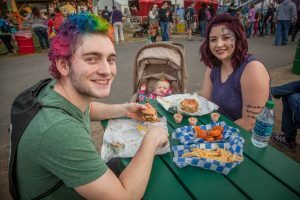 The Fair saw a notable increase in advance ticket sales, which were 23.3 percent higher than last year. A total of 14,184 fairgoers took advantage of the Fair’s new option to purchase concert tickets combined with Fair admission, contributing significantly to the advance sales increase. The purchase of single admissions online and Three Bears season passes was also up in 2018. Following the historical trend, the highest-attended days were the first Saturday, with 38,416 fairgoers, and the second Saturday and Sunday, with 44,532 and 45,465 visitors, respectively. In fact, the second weekend was so well-attended that we used our overflow parking on those two days – even the RV lot was full! Sold-out shows for the Demolition Derby and all three All-Star Monster Trucks shows at the RAM Truck Grandstand. 23 new state records set in crops exhibit entries, including Dale Marshall’s 1,471.5-pound pumpkin. 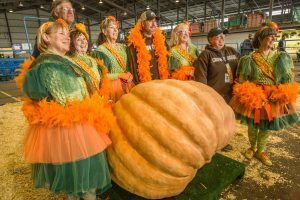 Marshall’s gargantuan gourd also took first-place in the 2018 Midnight Sun Great Pumpkin Weigh-Off. See the full list of new state records and all the results from the pumpkin weigh-off. Huge fun at this year’s Giant Cabbage Weigh-Off, with Brian Shunskis coming in first with his 94-pound entry. See full results here. New recycling record. Volunteers collected a grand total of 45,703 pounds – or 22.9 tons – of recyclable materials at this year’s Fair, setting a new 10-year record. $224,000 raised at the 4-H Junior Market Livestock Auction, up almost $10,000 from last year in a continuing upward trend. Strong vendor showing, with a total of 448 full-time vendors, including 70 food vendors, as well as 61 daily vendors and 17 vendors in the Gathering Place. Online parking. This year for the first time, we offered the ability to purchase parking online. A total of 1,913 fairgoers took advantage of this new feature, which allowed them to buy a single day or season parking pass online before they headed out to the fairgrounds. Carnival wristbands. We offered carnival wristbands that, for the first time, included Fair admission and unlimited carnival rides for just $50 on Monday and Tuesday, August 27 and 28, when purchased in advance. A total of 925 fairgoers took advantage of the offer. $5 admission. To say “thank you” to first responders and members of the military, we were pleased to offer $5 admission on Military Appreciation Day, Sunday, September 2, and First Responders Day, Monday, September 3. A total of 7,149 members of the military and their families and 253 first responders took advantage of the new discount. Brew Tap. 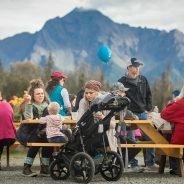 An estimated 400 fairgoers raised a glass to the future of Alaska’s farmlands at the first-ever Brew Tap. The event, held Friday, August 31, featured local brews and live music. $1 from every beer purchased – for a total of $591 – was donated to the Alaska Farmland Trust, which is dedicated to preserving Alaska’s farmlands for future generations. New restrooms. We opened the doors to the new restrooms on the Yellow Trail this year. The new facility was designed to meet the needs of increased fairgoer traffic in this area, which features popular venues including the RAM Truck Grandstand and the Gathering Place. Fair Queen.We were excited to bring back an old tradition with the crowning of a Fair Queen. At the August 23 coronation, we announced the members of the 2018 royal court, including Fair Queen Tala Ianu, Princesses Samantha Wannerand Bianca Temple, and Cultural Ambassador and People’s Chose Awardee Hannah Noble. New annual meeting date. A special membership meeting was held during the board reception on opening day of the Fair, where Fair members voted to change the annual membership meeting date from the second Thursday in February to the third Wednesday in May. 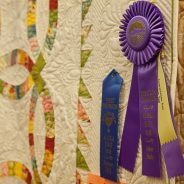 The 2019 Fair will be held August 22 – September 2, and with the theme “Crazy Good,” it is sure to be a good time. Hope to see you there!